Seasonal - Experience Varies | Click on any image to view larger. 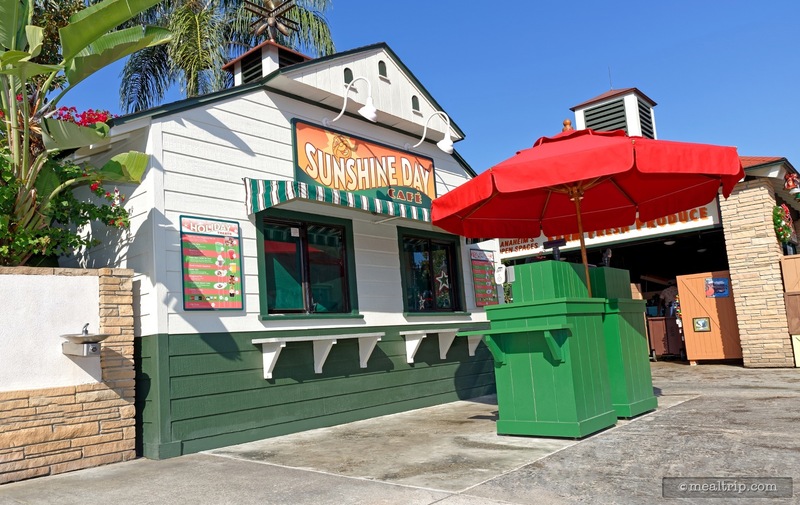 The Sunshine Day Café listing is a Seasonal - Experience Varies dining location at Hollywood Studios featuring American cuisine. There are 4 photos in the Mealtrip photo gallery for this location and dining period. 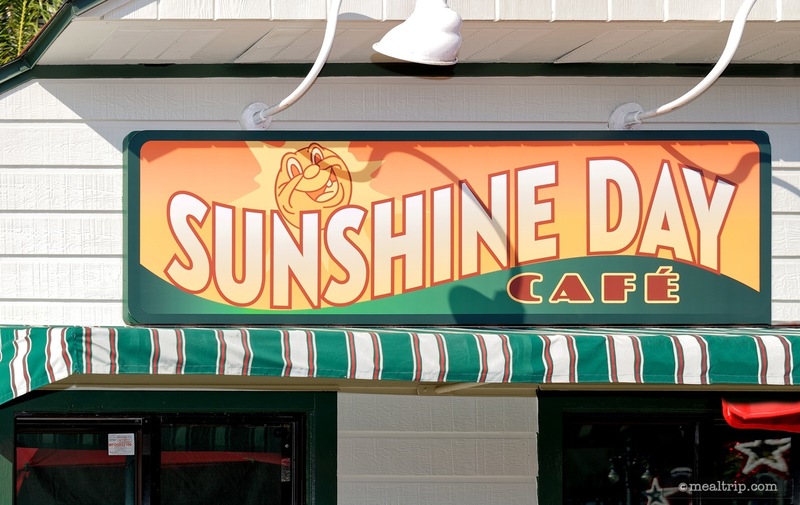 The Sunshine Day Café listing currently has a score of out of 100. Click here to read all of the reviews for this location, or log in to Mealtrip.com to add your own review for Sunshine Day Café. 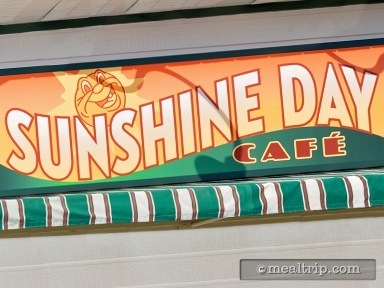 The brand new Sunshine Day Cafe sign, just a few days after it was put up there! The Sunshine Day Cafe building/kiosk. 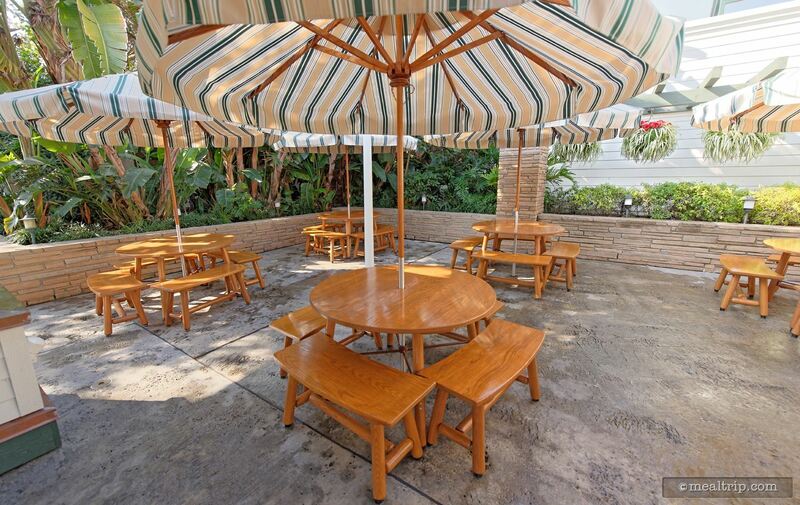 Directly behind and around the corner (to the right, if you're looking at Sunshine Day Cafe) are a few umbrella covered tables. 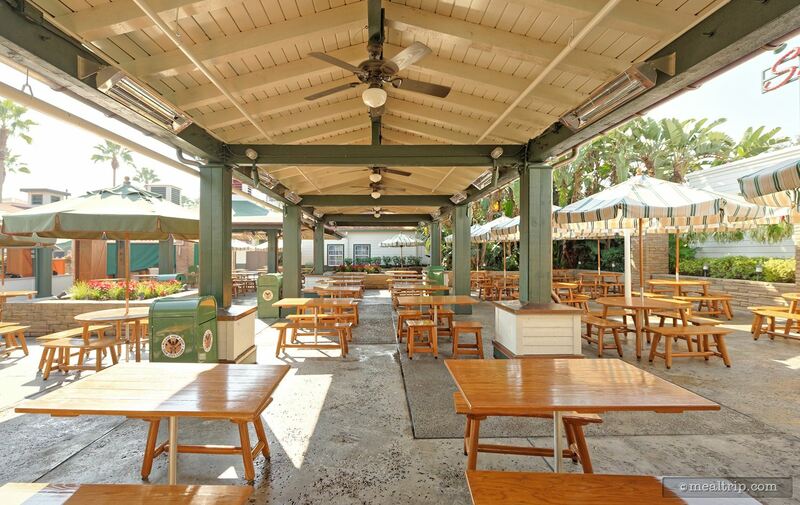 The "Sunset Ranch Market" food court seating is only a few steps away from the Sunshine Day Café.